Hanson Audio Video’s Control4 Certified Showroom brings home CEDIA Award for Best Showroom of the Year. Photo (from left to right): Bryce Judd (Control4), Robert Smolen (Abt), Martin Plaehn (Control4), David Koller (Control4), Lukasz Janowicz (Abt), Greg Porthan (Abt), Kevin Garretson (Control4). 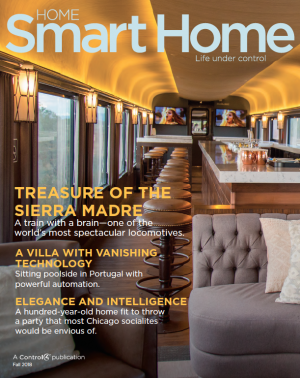 Salt Lake City, UT – September 19, 2018 – Control4 Corporation (NASDAQ: CTRL), a leading global provider of smart home solutions, celebrated its annual dealer award winners at a party in San Diego at CEDIA Expo, hosting nearly 2,000 attendees. The awards recognize Control4 Dealers in the Americas and Asia-Pacific for their commitment in providing superior smart home solutions to their customers, delivering exceptional customer service well beyond the installation, and for overall business growth and excellence. Control4 Certified Showroom Dealer, Abt Electronics in Glenview, Illinois, took the prestigious award of being named Control4 Dealer of the Year. Innovative Sight & Sound Inc.
Absolute Automation & Security, Inc.
Armor Systems & Security Inc.